As the number of ACEs increases, so does the risk for these outcomes. The Lake Cumberland District Health Department is excited to focus its energies in addressing ACEs. In our clinic programs, our Rural Health Opioid Program screens all potential clients for ACEs. In our clinics, our Sexually Transmitted Infection (STI) visits, the cancer screening program and our family planning program screen for domestic violence, sexual coercion, emotional neglect and abuse and sexual abuse. Also, a health history is taken which, among other things, assesses historical mental health issues and/or physical/sexual abuse. We also conduct a risk screen during pregnancy tests that addresses physical/sexual abuse and/or drug use. Appropriate referrals are made if positive. 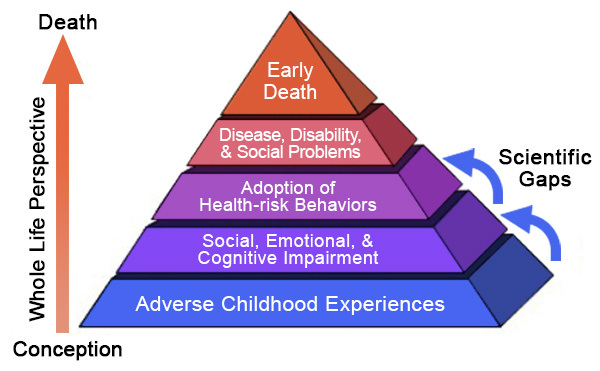 For our HANDS program, evaluation and recognition of ACE risk factors are a basic part of the program. During our initial survey, parents are asked about their childhood, how they were raised and by whom. We also discuss current living arrangements and if they have a history of any type abuse or neglect, have had involvement with drugs or alcohol (or are currently involved with either), if they have any history or current involvement with DCBS or the police/ jail and the stability of their current relationship with the father of the baby. During our time spent with the HANDS families, we watch closely for any sign of abuse toward the mother or baby, signs of neglect, drug use or domestic violence. We follow mandatory reporting procedures, according to the law, if such is suspected. If we discover intimate partner violence, we complete a domestic violence screen and help with the development of a plan of escape. If the mother asks for help with shelter, we also refer them to an appropriately. Prior to and after delivery, HANDS moms are required to complete a questionnaire for signs/symptoms of depression; and, if qualifying symptom are present, we encourage them to contact their OB/GYN for possible medication treatment and/or refer them to the Moving Beyond Depression (MBD) program, which provides them with a home visiting counselor. Or, we refer them for outpatient counseling. In our Health Policy and Promotion program, our Reducing The Risk program discusses briefly if someone is forcing you to do something you do not want to do. We are also excited to begin a partnership with the Foundation for a Healthy Kentucky to begin work on the BOUNCE Program: Building Resilient Children and Families. This model has already been rolled out in Louisville; a pilot location in Lake Cumberland will be the rural equivalent.